Best Festivals in the U.S.
Festivals are times of extraordinary experiences. Whether it be the atmosphere, venue, or music, it is a place where creativity and fun blend together. People love to go to festivals to forget their troubles, woes, and anxieties. 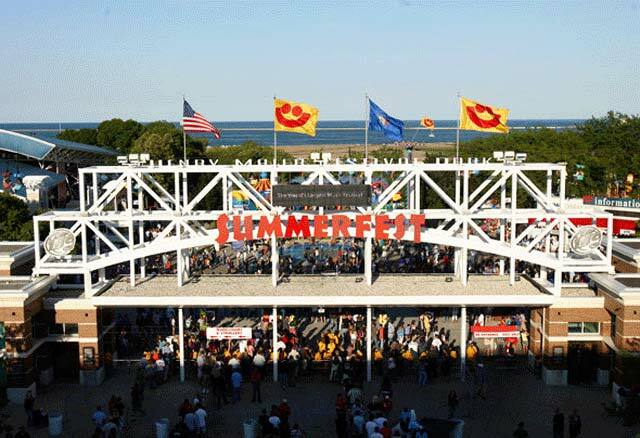 The following is our compilation of the best festivals in the U.S. 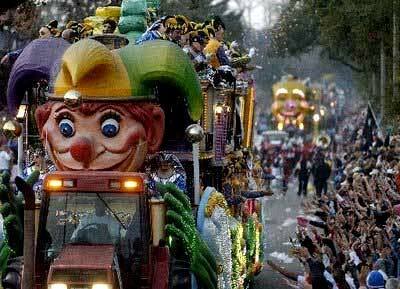 The Mardi Gras celebrations in The Big Easy last for a little over two weeks. The last day of Marti Gras is always the day before the first day of the Christian observation of Ash Wednesday which marks the first day of Lent. The final day of the festival usually sees around 250,000 people flock to the heart of the city. The events include parades, music and live performers. 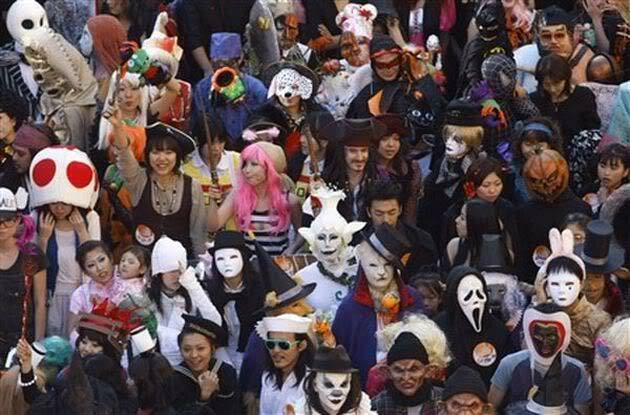 It is common for festival goers to dress up and wear colorful masks for the festivities. The area of the city called The French Quarter is the wildest section where mostly younger adults will party and sometimes get out of control. For families it is best to avoid this area and enjoy the parades and events that are all actually held in other parts of the city. This is the world’s largest music festival as confirmed by the Guinness Book of World Records. 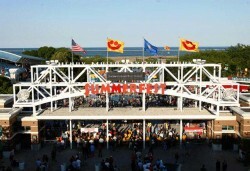 Milwaukee’s Summerfest grounds play host to an eleven day eleven stage music extravaganza along the shores of Lake Michigan. There are bands performing on each stage all day long and every night concert-goers have to pick which headlining show to go see. Besides the bands that play, there are events for families, stand-up comedians, vendors and a plethora of local foods and brews to sample. Some of the recent big name bands that have played at this festival include: Fun., Jason Aldean, Tim McGraw, New Kids on the Block, Billy Idol, Imagine Dragons, MGMT, Silversun Pickups, Styx, Switchfoot, REO Speedwagon, Jimmy Eat World and many more. 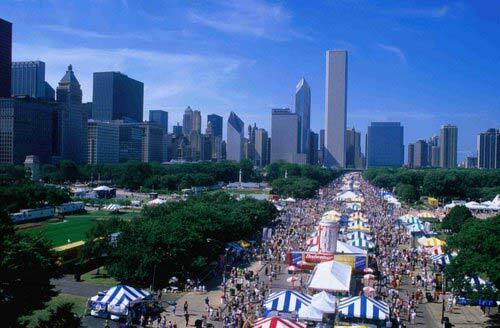 Taste of Chicago is the world’s largest food festival that takes place in July in Chicago’s Grant Park. The festival has seen attendance numbers of over 3.5 million people in the past. 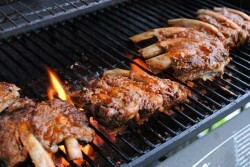 Each year the park hosts many different food vendors that offer pretty much any kind of food you can think of trying. There are also cooking classes and food shows, stages for live music performances by famous artists, activity areas for kids and informational booths that promote various products and give tips on healthy eating and cooking methods. Some bands that have played at Taste of Chicago in recent years include: Neon Trees, Fun., Company of Thieves, Jennifer Hudson, Death Cab for Cutie and Dierks Bentley. Burning Man is a one week annual festival that takes place in the Black Rock Desert of Nevada. It always starts on the final Monday of August and ends on Labor Day. The celebration is named after the practice of burning a huge wooden structure that is shaped like a man on Saturday evening of the festival. The beginnings of the event were small, with only a small gathering of people in 1986. Today the festival attracts approximately 50,000 people a year. 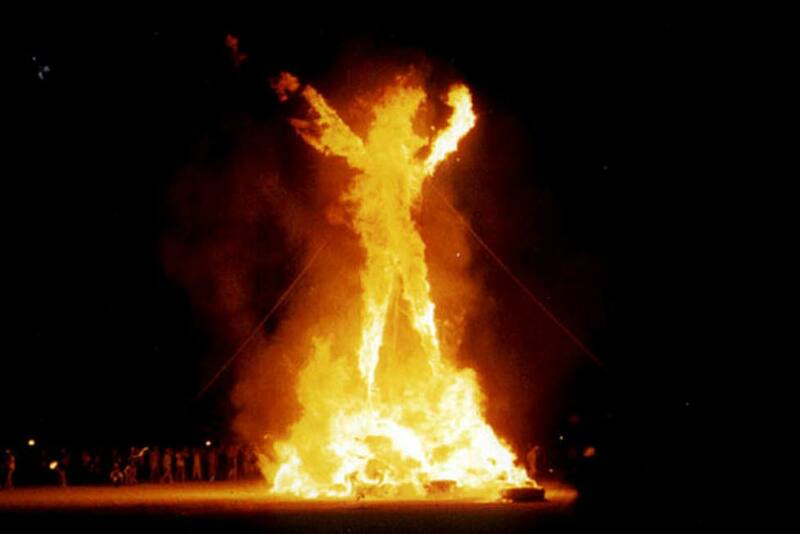 There are no venders or bathroom facilities at Burning Man, so it is imperative that you bring food and any items that you might need for your stay. While here you can trade supplies and art, talk philosophy and tell stories with new friends, watch musicians play instruments and visit extensively themed camping areas that people put a lot of time and effort into creating. National Cherry Blossom Festival – Washington D.C.
Every spring Washington D.C. plays host to the National Cherry Blossom Festival. The celebration commemorates Mayor Yukio Ozaki of Tokyo giving Japanese cherry trees to the city as a sign of friendship. 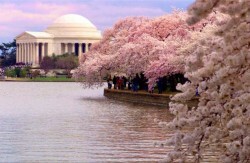 The first Cherry Blossom Festival was held in 1935 and has been. The events usually begin in late March and last until around the middle of April. 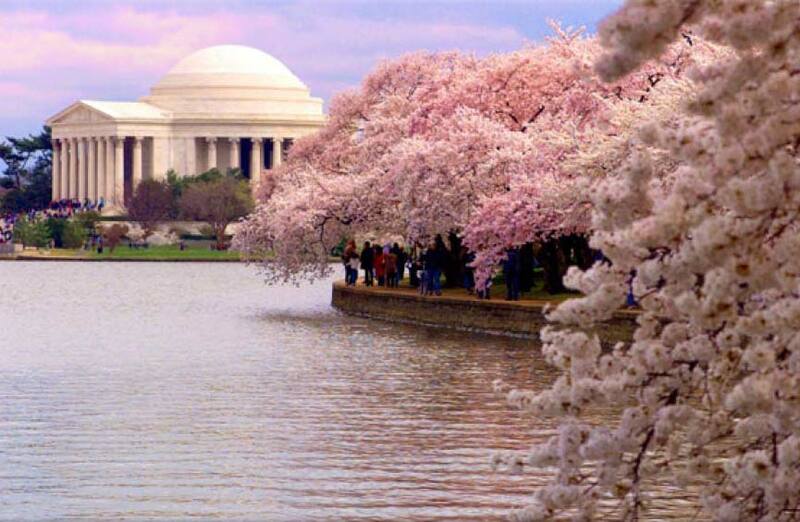 While here you can take part in many activities including: watching the opening ceremony and musical performances, attending the Pink Tie Party, flying a kite at the Blossom Kite Festival, watching the Southwest Waterfront Fireworks show and viewing the National Cherry Blossom Festival Parade. This festival showcases independent U.S. and international films. Held each year in Park City, Utah in January, the festival typically goes for about a week and a half. The event has been running since 1978 and was originally called the Utah/US Film Festival. 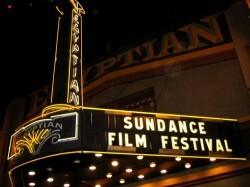 In 1984 the Sundance Institute took over the operations and renamed the event. It has provided major breaks for directors such as Kevin Smith, Quentin Tarantino, Todd Field and Robert Rodriguez. Some notable movies that have been boosted by the event include “Garden State,” “Saw,” “Super Troopers,” “Reservoir Dogs,” “The Blair Witch Project,” “Little Miss Sunshine” and “Napoleon Dynamite.” Every year the festival committee selects 200 films to exhibit out of thousands and thousands of submissions. There are also music performance at the festival for attendees to enjoy. This two day festival offers plenty of live music to take in, tasty food to sample and a great car and bike show. Amateurs and professionals can enter into the Bar-B-Que competition for a change in taking home part of the $25,000 in prizes. All of the events take place at The Lawn at Riverfront Park located in downtown Nashville next to the Cumberland River. A great thing about this festival is that all of the proceeds go to various charities each year. The cookout tournament is officially sanctioned with the winner being declared the champion of the state of Tennessee. Visitors can also pay to be a guest judge and vote to decide who wins the People’s Choice Award. There is music all day long that lasts until 11 PM. 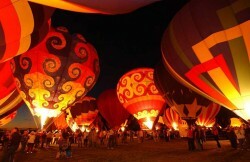 Check out this festival to be part of the world’s largest hot air balloon event. The festivities last for nine days and feature approximately 750 hot air balloons from around the globe. There are many things to see and do while here, including: taking a hot air balloon ride, watching balloon races, seeing all of the creatively shaped and colored balloons, watching chainsaw competitions, enjoying delicious food and watching a fireworks show at night. One of the highlights of the festival comes on the last day when they have a “Mass Ascension” as all of the balloons take off into the sky in what has been called a wondrous display. 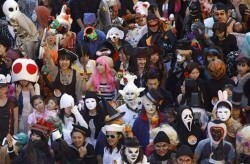 This spooky celebration is held in the town famous for burning suspected witches in the past. The Halloween Festival of the Dead lasts for a little over a week and has different themed events for each day such as: Speaking to the Dead, Conjuring Spirits, a Halloween Ball and Ghost Hunting. While at the festival you can learn about the history of Salem, enjoy everyone’s creative costumes and even dress up as something scary or creative yourself. There are plenty of things for both kids and adults to enjoy. One highlight is the 21+ Vampire’s Masquerade Ball that features gothic music, a gothic fashion show and adult beverages. If you are a fan of Halloween or just want to experience this time of year in a place that is notoriously linked with ghosts, goblins and witches, then this is the festival for you. 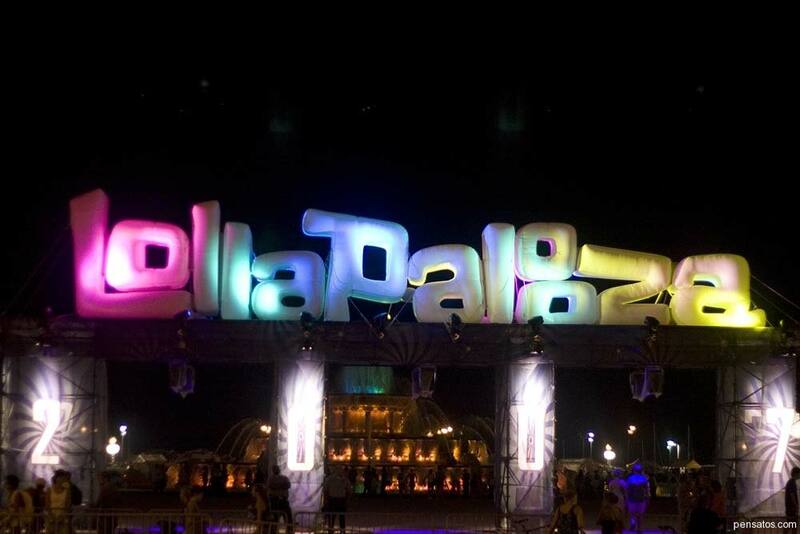 Lollapalooza was started as an idea to have a farewell tour for the band Jane’s Addiction by lead singer Perry Farrell in 1991. The idea grew into the concept of having a massive music festival. 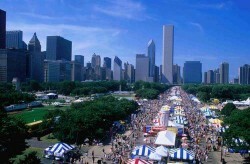 Except for a couple year hiatus, the three day event has been going strong and in 2013 brought in crowds of over 100,000 each day to Grant Park. The festival is known for featuring alternative rock, indie, punk rock, hip hop and heavy metal bands. Some of the past year’s most famous bands have been: The Cure, Black Sabbath, The Killers, Tegan and Sara, Vampire Weekend, Florence and the Machine, The Postal Service, Imagine Dragons, The Lumineers, Lana Del Rey and the Red Hot Chili Peppers, to name a few.